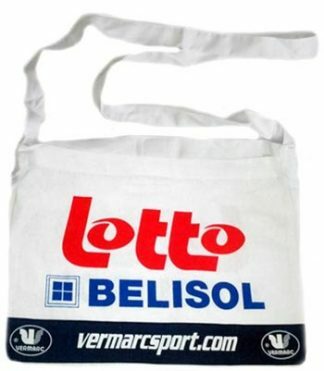 Originally used to give to riders at feed stations, these musettes are a handy item to have. 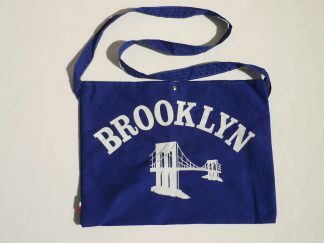 They can be used to carry your sandwiches to work, a few items of shopping back from the store and a multitude of other uses. 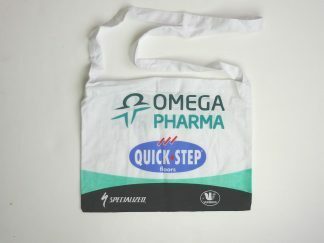 The also fold down so you can easily put them in your cycling jersey pocket. 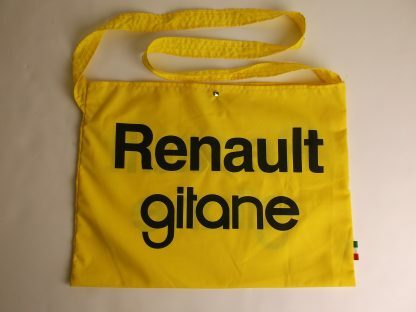 This one is in the colour of Renault Gitane, a team made famous by Laurent Fignon and Bernard Hinault.